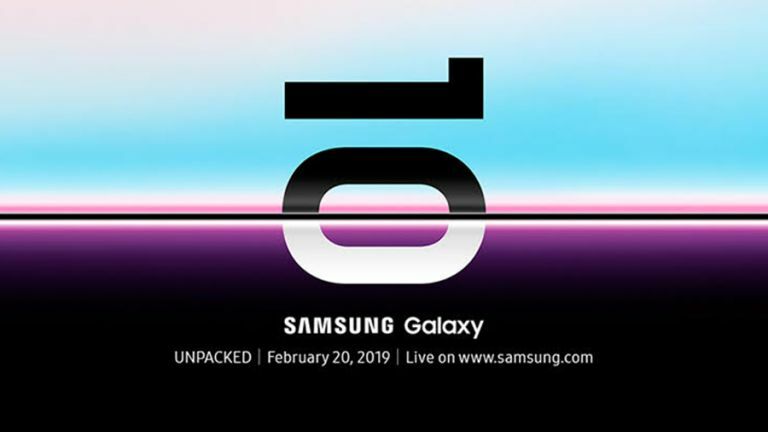 After months of whispers, blurry leaks, and glossy concept renders, here is the complete Samsung Galaxy S10 line-up scheduled to be announced at the Galaxy Unpacked media events in San Francisco and London on February 20, 2019. At least, we're almost positive these are the exact models. That's because the latest leaks come courtesy of tipster Evan Blass, who tweets via the handle @evleaks and is renown for an almost infallible reputation when it comes to unmasking unannounced technology products. According to Blass, there will be three models including in the Galaxy S10 range – not four as some tipsters have reported. Samsung typically launches two models of each iteration in its flagship Galaxy S range – a standard model, and a larger "Plus" phone. In addition to these two variants, Samsung will introduce a new more affordable Galaxy S10 handset designed to take on the iPhone Xr and rival handsets from the likes of OnePlus, Huawei, and Xiaomi. Blass claims these handsets will be branded: Galaxy S10E, Galaxy S10, and Galaxy S10 Plus. Previous leaks pointed to the name "S10 Lite" for the affordable entry. Unfortunately, the hotly-anticipated handsets in the image tweet by Evan Blass are all fitted with protective cases – making it a little tough to discern the design of the phone. However, it is possible to see the different rear-mounted camera arrays on each of the smartphones. The Galaxy S10 will purportedly have a dual-lens camera, while the Galaxy S10 and Galaxy S10 Plus will have triple-camera set-ups. According to an earlier leak by prominent XDA Developers contributor Max Weinbach, the Galaxy S10 and Galaxy S10 Plus will pair an ultra-wide 16MP f/1.9 lens with a 123-degree field of view but no optical image stabilisation (OIS) with a 12MP standard lens with the same variable aperture mechanism that caused headlines for the Galaxy S9 and Galaxy S9 Plus last year. As before, this camera will be able to switch between f/1.5 and f/2.4 based on the amount of available light in order to improve image quality. There will also be a 13MP f/2.4 telephoto lens with OIS and a 45-degree field of view. This will help with the depth-sensing abilities and allow for more accurate bokeh-style blur in the background of Live Focus photographs. New software features, including Bright Night and Portrait Lighting, will purportedly be added to the Samsung camera app, too. Based on the latest images from Evan Blass, it looks like rumours that the Galaxy S10 Plus will feature a dual-lens front-facing camera since it has a wider cut-out in the screen. Finally, these leaks images seemingly confirm that Samsung will relocate the fingerprint sensor from the back of the device. Earlier leaks suggest the entry-level Galaxy S10E will house the sensor in the side-mounted power button, while the Galaxy S10 and Galaxy S10 Plus will embed the scanner beneath the glass display. As reliable as @evleaks has been in the past, it's always sensible to take these leaks with the prescribed pinch of salt. Nothing is confirmed until Samsung mobile chief DJ Koh, who is not actually a DJ – that's just his name, takes to the stage and announces the next iteration of the Galaxy S line on February 20, 2019.